Watopia’s “Volcano Flat” route is similar to the “Flat Route” except it turns at the Italian Village, bypassing the Esses and taking you around half of the volcano circuit clockwise. NextWhich Zwift Bike Climbs Fastest? Can’t wait to give it a ride this evening! Thanks for all of your hard work. It made it so much more fun to see the Strava sections. Can you add the fourth course soon? If you do the Reverse of the Volcano Flat, you do an 8 km circuit making a right turn onto the volcano, around the back, into the village, through the Esses and back to the Start/Finish banner. The volcano Jersey is really cool. I would love to have one for the road. Thanks again for working this up. I didn’t add the reverse Volcano Flat because it didn’t appear to behave like a consistent route. It doesn’t stay on the loop you describe above–it does that loop, then continues onto the Hilly Route it my tests. Looks like the new update did change the Volcano Flat Reverse now. Same circuit as forward lap. For your ‘to-do list’. I m very disappointment about this new scenario it is just a small circuit and not a map as watopia with different type of course (flat, Hilly or mountain), I hope you will do better for the future because the maps is the key for the success of the game and not only the social ride. Thank you for your work. Very constructive, your criticism… Be nice, please! Im very happy for all map but not for Volcano yet, RIDE ON ! I don’t see what you find disappointing. Since the beginning of zwift each expansion of the Watopia map builds and expands various terrain and types of riding available. The new Volcano route is pretty flat and offers a different kind of riding than is available elsewhere on the map. I really enjoyed the new route and I think it is a nice addition to the world of Watopia. My disappointment for Volcano is because at now its just a different scenario/terrain and it does not provide for different types of course as Watopia Hilly, Mountain, Flat because the circuit is the same also is too much short. 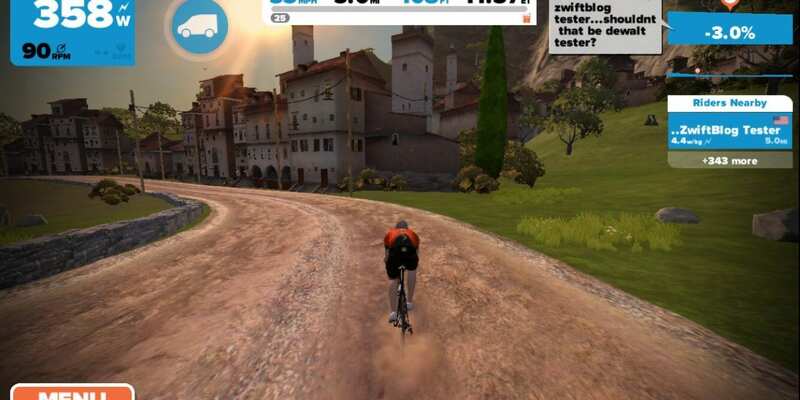 This mean that it is a new route only much more like a game than a virtual cycling experience. FYI–I don’t create the courses, I just report on ’em. 🙂 I only run this fan blog, but I’m not ZwiftHQ! 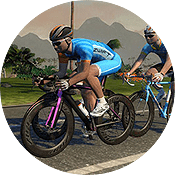 Thanks much for this website; I read it routinely as it is such a good resource for all things Zwift. I haven’t heard of anything like this in the works–I doubt it will be, since they already released the new routes for the volcano expansion. 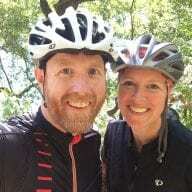 I rode the new Volcano Flat Route as part of a group ride the other night. I didn’t mind it too much although I didn’t get much of a chance to take in the scenery! It does cut out the 4-5% climb (and following roller coaster back to the start) from the Watopia Flat Route, which I’ve found can split group rides apart somewhat. I do like that section Watopia though. Not sure I’d want to race over the new course, too flat for me. All in all a good little addition to the map.